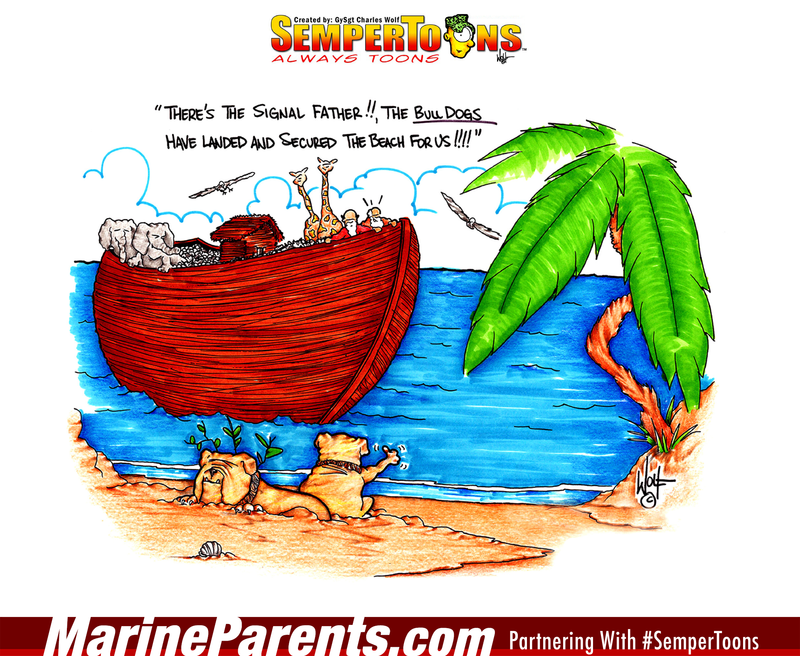 Gunny Wolf from SemperToons has created this cartoon that features a cartoon scene featuring Noah's Ark from the Bible arriving on a beach. Noah's son points to the bulldogs on the beach and says to Noah, "There's the signal, Father!! The bulldogs have landed and secured the beach for us!!" Shop Ark SemperToons at the EGA Shop.